It’s not unusual to feel shy about smiling if your teeth aren’t everything you would like them to be. Stained teeth might inhibit you from smiling as often or as big as you normally would. Chipped teeth and gapped teeth can have a similar effect. But with a little dental bonding, you can start smiling again with confidence. 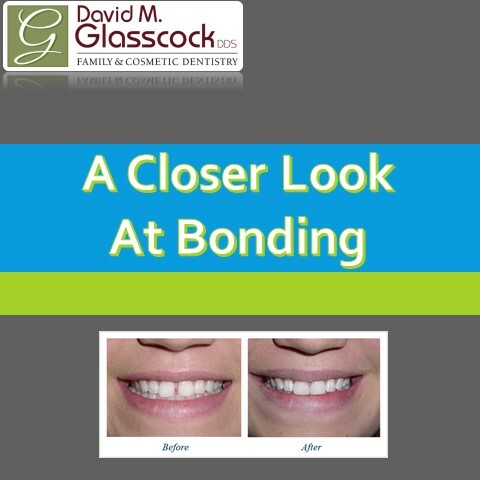 Dental bonding is one of the easiest and most cost-effective ways to make cosmetic improvements to your teeth. During a bonding procedure, a tooth-colored resin, or plastic, is bonded to your tooth with an ultraviolet “curing” light. Unlike veneers and crowns, which are sometimes used to make similar improvements, a bonding procedure usually takes just 30-60 minutes per tooth and is often complete in just one dental visit. Another advantage of dental bonding: It requires less prep work than veneers or crowns, so more of your tooth enamel remains intact. Bonding can even be used to replace existing amalgam (silver) fillings with natural-looking composites. It’s also ideal for treating cavities in the front teeth, where aesthetics are especially important. Keep in mind that dental bonding isn’t the cure-all for every tooth defect. Bonding doesn’t work well on back teeth or larger cavities. But for the smaller changes, bonding can have a huge impact on the way you feel about your smile.